Looking to translate your Webflow website? Look no further! Thanks to popular demand, Bablic, the fastest & simplest way to translate Webflow websites, has put together a guide that will literally have you offering multiple languages on your Webflow website within minutes. Bablic is an easy to use website translation solution available for free (with limited features). It now works perfectly with Webflow and boasts unique features such as allowing you to choose from machine translation, adding collaborators and even ordering professional human translation, all from the editor. 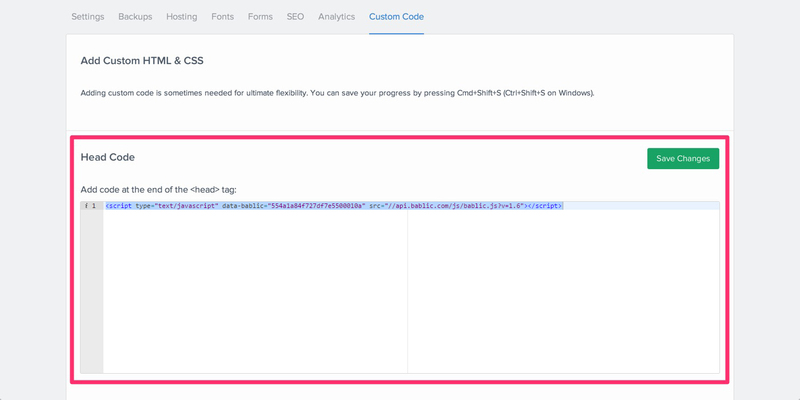 It also lets you manually edit text, images and CSS/style at the click of a button in order to make sure your Webflow website’s experience is consistent in however many languages you choose to offer it in! Simple follow the Bablic & Webflow integration instructions below and you’ll have a multi-lingual website within minutes, promise. 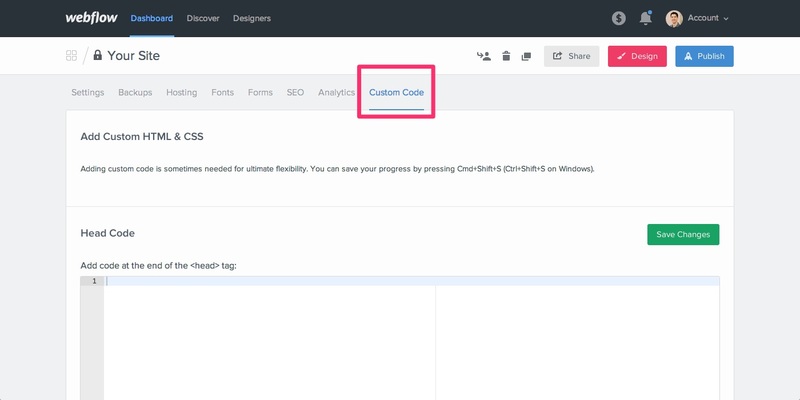 Head over to the custom code tab from within your Webflow site settings section, as pictured below. Once on the custom code page, simply paste your Bablic code into the Head Code box, right after where it says Add code at the end of the <head> tag, pictured below. Remember to click the green Save Changes button to apply your code. Remember to Publish Your Webflow Website once again in order for the changes to take place on your live website. Keep in mind, you’ll need to sign up for Bablic to translate your website and offer additional languages, as well as to get the custom code snippet you’ll need to add to your Webflow website. Bablic is the easiest way to translate Webflow websites. Don’t believe us? Try it now for free on Bablic.com by simply entering your Webflow website address right on our homepage. If you need additional help or guidance don’t hesitate to get in touch, we’ll gladly help you translate your Webflow website, just email [email protected] and let us know about the issues you are encountering. Where can I find “Bablic code” to paste in?